The Comfort Inn Lancaster – Rockvale Outlets invites you to experience their comfort, warmth, and hospitality. This hotel features all the benefits of the Comfort Inn brand plus a central location right in the middle of Lancaster County’s Amish community and popular attractions. Their guest rooms feature all the comforts to make your stay relaxing. The Comfort Inn Lancaster – Rockvale Outlets is located just off the intersection of Route 30 and Route 896. It is right in the middle of all the outlet stores at the Rockvale Outlets complex, so bargains are just steps away. Plus, being just off Route 30, all the points of interest along that popular route are within minutes of the hotel. And the villages of Bird-in-Hand and Strasburg are likewise just minutes away on Route 896. You can see below many of the popular attractions, restaurants, and points of interest that are nearby. 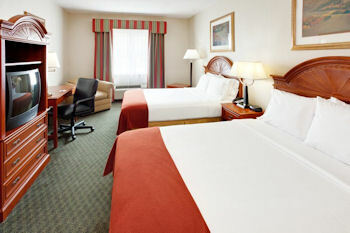 The Comfort Inn Lancaster – Rockvale Outlets is just one of many Lancaster PA hotels. There are also other hotels in the Route 30 East area.